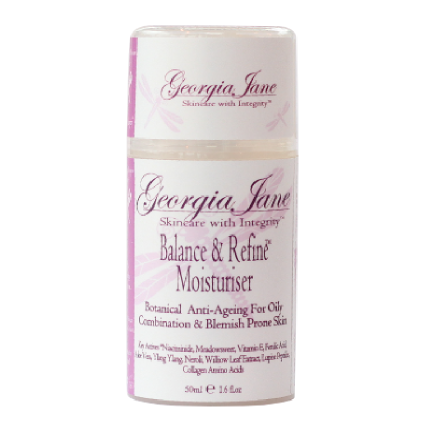 The GeorgiaJane Balance & Refine range is multi-functional, silky smooth, matte-finish product that will get problem skin under control, balance & mattify your skin, minimise the appearance of large pores and also address the ageing concerns of the oily to combination & acneic skin type. Get your glow on! This powerful but gentle night treatment provides extremely effective overnight brightening and exfoliation, wake up to brighter skin! Radiant & Renewed is an amazingly silky smooth, oil free, treatment serum formulated to bring back the glow to dull looking lethargic skin. This night treatment is suitable for all skin-types and this clear honey coloured serum is loaded with antioxidants to fight environmental aggressors and moisture-binding Hyaluronic Acid to hydrate and keep your skin nourished and protected. Get radiant healthy looking skin with high-powered stabilized Vitamin C and a synergistic complex of Niacinimide and Glucosamine which has been clinically proven to help with hyper pigmentation, sun-damage and acneic skin conditions. Our Hydrate & Perfect range is formulated with a powerful bioactive blend of pure natural & antioxidant rich ingredients to smooth & condition while helping to even the appearance of the skin tone and restore a beautiful clarity and luminosity to your skin. Ideally suited for a normal to combination skin type. Our dry & sensitive /mature regimen thoroughly cleanses, nourishes and hydrates the skin, delivering moisture to the deepest layers of the dermis. 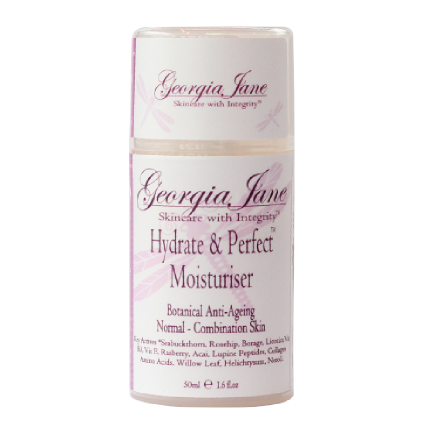 Skin is kept soft and supple, rather than dry and tight. Click below to learn more about each product. 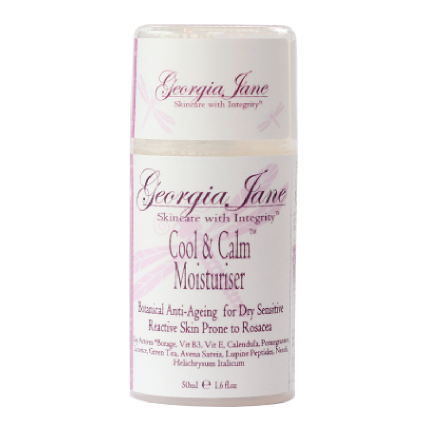 The Georgiajane Cool & Calm range is a multi-functional, silky smooth product range packed with potent bioactives to help soothe & comfort dry, temperamental, sensitive & reactive skin, restore your natural clarity & luminosity, while also addressing the ageing concerns of this skin type. 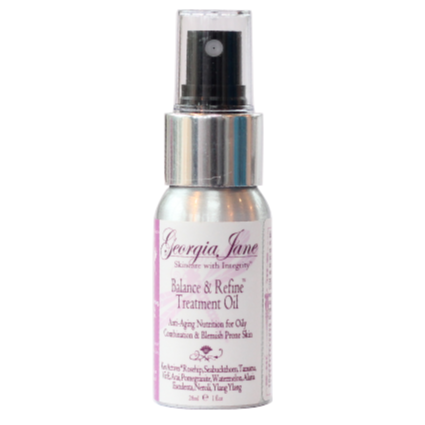 Ideally suited to help with reactive & rosacea prone skin. The Simple & Sublime Cleansing Balm and Radiant & Renewed Serum are suitable for all skin-types with hyper-pigmentation or sun-damage issues. All GJ products contain ingredients to treat hyper-pigmentation/sun-damage so please choose the Treatment Oil and Moisturiser for your skin type to compliment the Cleansing Balm and Radiant & Renewed Serum. Do you suffer from dull & lethargic skin. 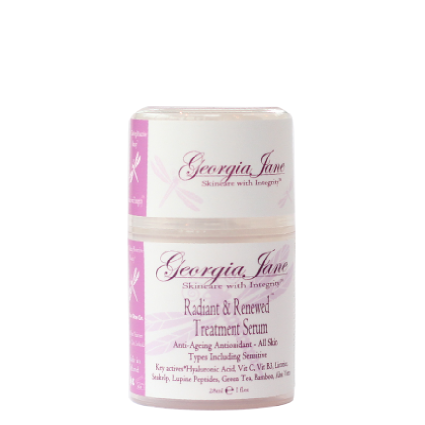 Try GeorgiaJanes’s Simple & Sublime Cleansing Balm and Radiant & Renewed Treatment Serum to bring the glow back to your skin.